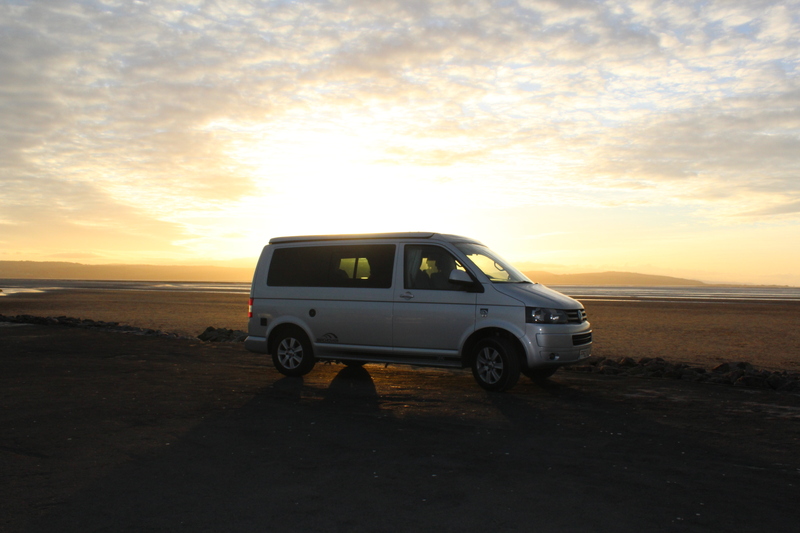 Wirral Campervan Hire offers adventures on the open road! 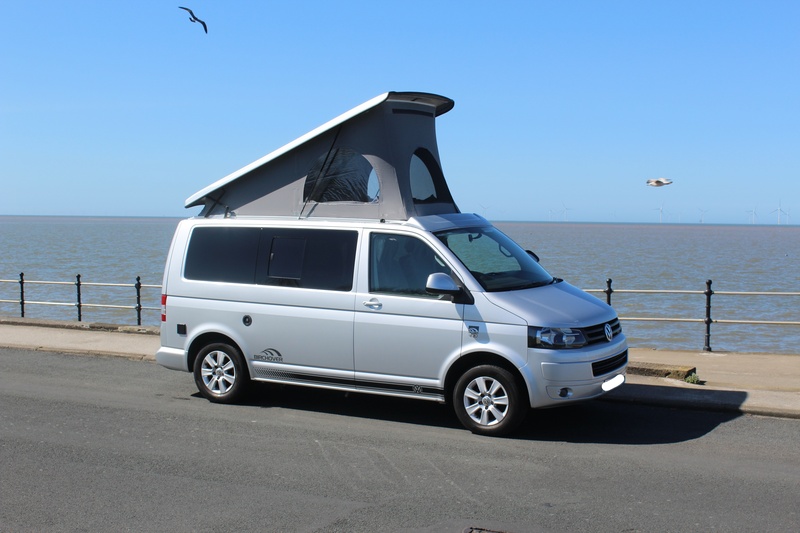 Hire our modern Volkswagen T5 campervan and discover the freedom of camping and the open road. Beautiful UK destinations such as North Wales, the Peak District and the Lake District are all within easy reach of our base in Meols, Wirral. Alternatively, explore our beautiful area; it’s called the Paradise Peninsula for a reason! Our van is dog friendly so your furry friends don’t have to miss out on the fun. There are no surcharges for your dogs and camping gas is included in the price. Our unlimited mileage policy means hassle free travel – head to Cornwall or Scotland if you wish! Our extras are clearly listed; hire our inflatable awning and bike rack to enhance your camping experience. 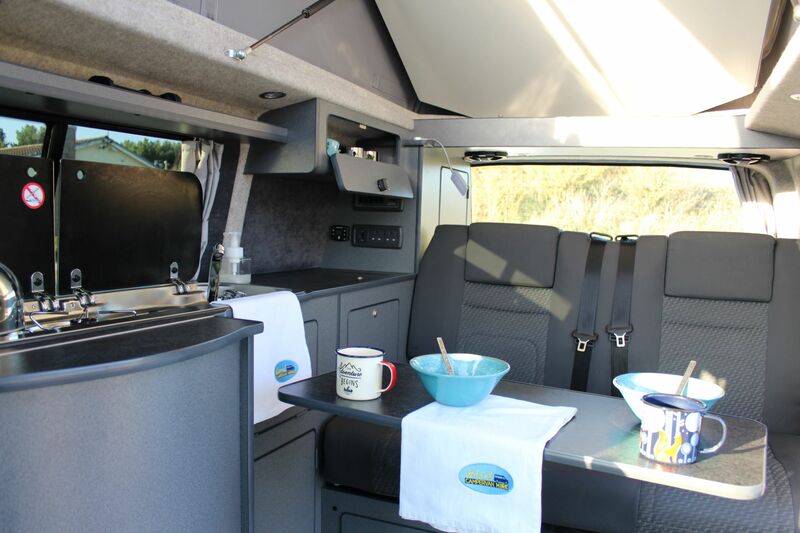 With a cooker, fridge, hot water and an integral heater, you won’t be roughing it. And with the pop top roof, sleeping four, it is perfect for families. Kids love the freedom of camping. You can rest assured that it is easier to pull them away from the modern distraction of screen time and re-acquaint them with nature’s playground when camping. 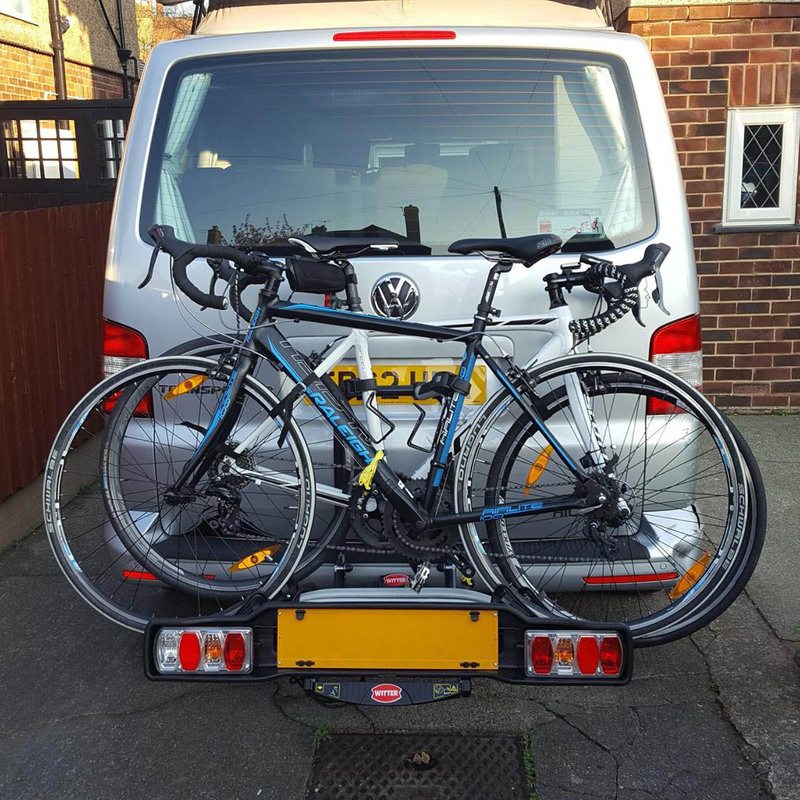 It’s a great support vehicle for your sport or hobby. It has been used for triathlon, hill walking, sailing and canoeing. It has been taken on a romantic mini-moon or why not plan a weekend with friends? Whatever you plan to do in the van, the open road and freedom awaits you. The van is a modern Volkswagen T5, converted by Hillside. It has a pop top roof. It can seat 5 people (one is a lap belt only) and is pet friendly. The rock and roll bed folds down to make a spacious bed. 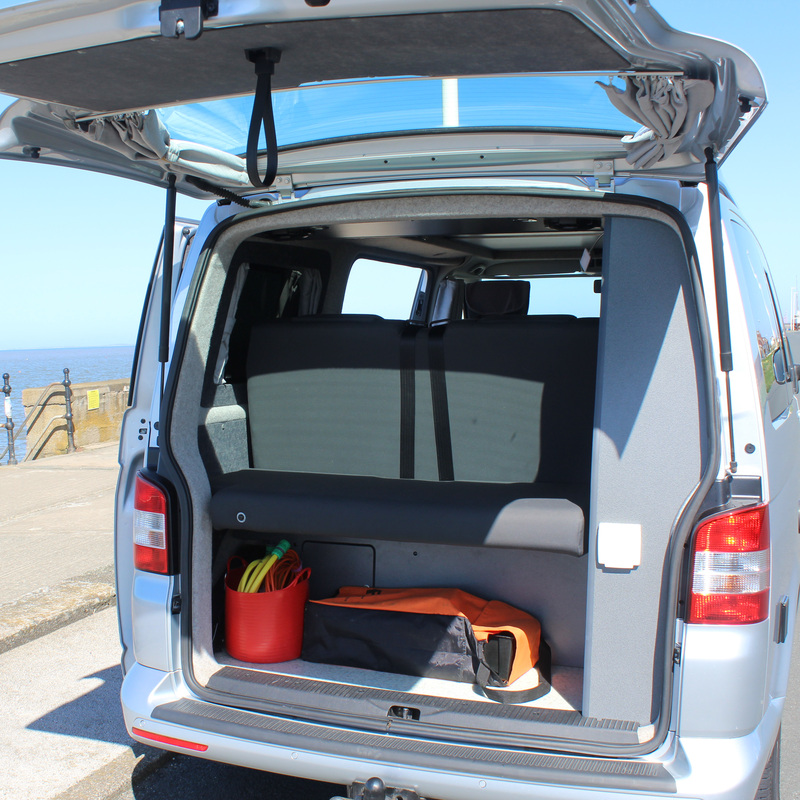 The van sleeps up to 4 people with space for 2 more in the pop top roof. 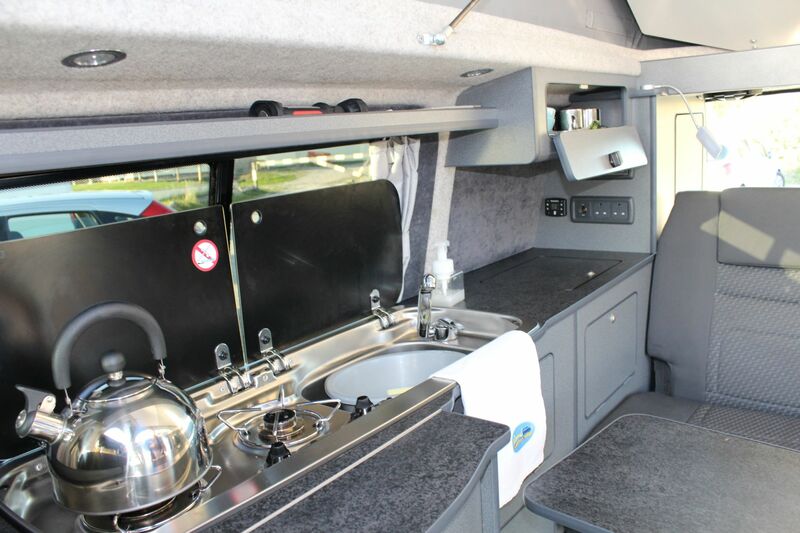 It has the classic 2 ring burner and grill, along with a sink with running hot and cold water. 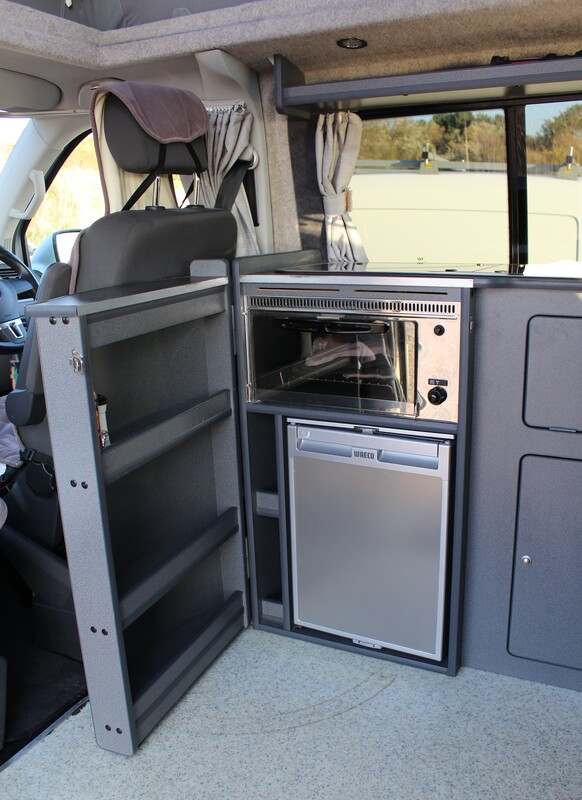 With the front swivel seat and a built in table, the van converts nicely to a dining area. Here’s a shot of the 55L fridge and grill above it, along with the spacious storage shelves. The built in shower is great for rinsing off after days at the beach or for rinsing your muddy dogs! Hire our inflatable awning for more space and privacy.